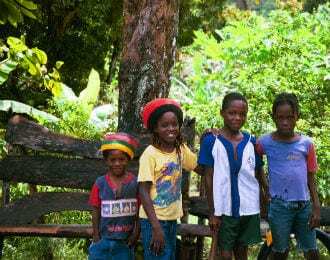 Every summer, Jamaica’s Association of Clubs runs a 3 week summer camp for local youth, age ranges from 5 – 15. This camp is the only source of continued education for local youth; teaching campers a wide variety of life skills from computer tutoring and math skills to basic hygiene and dental care. During these weeks, the AOC provides campers with lunch, which is the only substantial, balanced meal most youngsters get. The AOC needs continued volunteer and financial support to keep this camp an annual activity.